A lot has changed in BMMI Djibouti since it started operating over ten years ago. It was BMMI Group’s first foray into Africa, and a little over a decade later, BMMI Djibouti has proven to be a successful business with a solid reputation for quality and excellent levels of service. 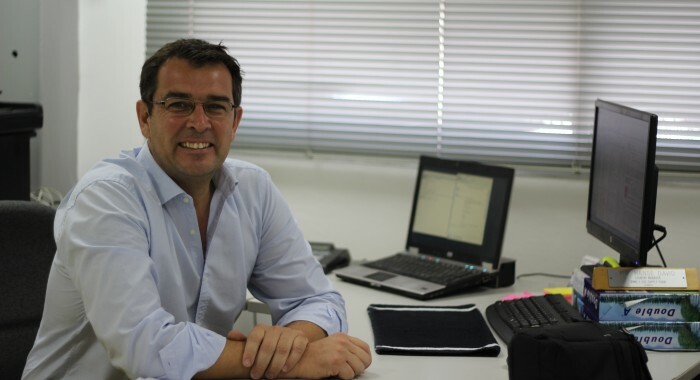 Over the past two and a half years, the company has flourished even further, under the leadership of Country Manager, David Hansé, a Belgian national, who spent his childhood in Africa, before studying in Belgium and Switzerland, working in France for a decade and then feeling the call of returning to Africa once again. Upon joining the team in October 2013, David realised that there were some changes that need to be made, and that the business would benefit from diversifying its offerings to further cement its position in the Djiboutian market. The business expanded its portfolio from focusing on military and governmental contracts, to revamping their infrastructure and cold-chain capacities, as well as sourcing new ranges of products and initiating food distribution to hotels, restaurants and supermarkets. They also continued to actively seek new clients, attracting them with their improved logistics and warehousing capabilities. David and the team believe that BMMI offers something that makes it stand out from its competitors. “When I first joined, we looked at repositioning the company and building up on our assets, but what truly differentiates us from the competition are the international standards and global best practice we use to ensure providing the best service,” said David. 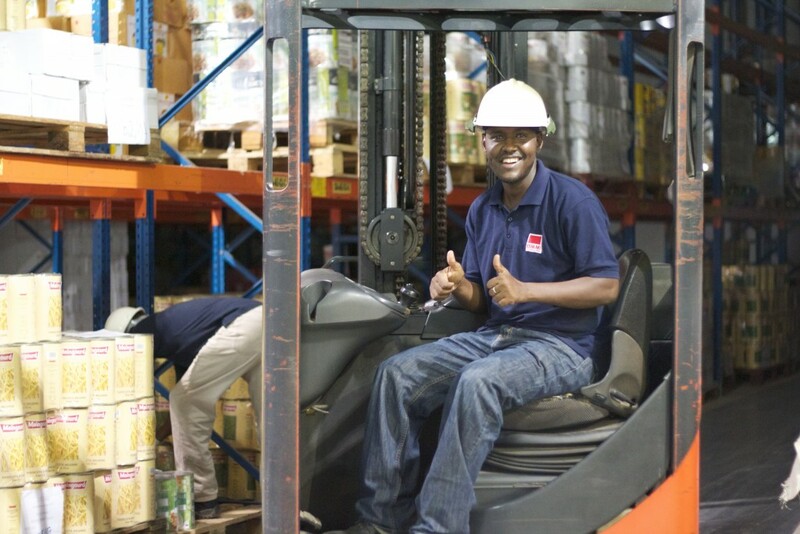 With the support of the BMMI Group headquarters in Bahrain, whose operations follow an Integrated Management System consisting of four international standards in quality, food safety, environment, and occupational health and safety, BMMI Djibouti was able to leverage this strength. “We work very hard every single day to offer the best services and capabilities to our clients and I see that they can recognise this effort. Our clients feel comfortable and confident working with us, knowing they get an extremely high commitment to quality,” he said. This factor attracts international clients, who are used to working with companies that follow every measure possible to ensure global services and safety standards. However, this is not the only thing that sets BMMI Djibouti apart from the competition. One of the most important components that solidifies BMMI’s position in the market and enhances its reputation is the people that make up the team, with their steadfast dedication and the diversity of their experiences. “At the moment, we are about 40 employees, and it’s a very international team, which helps create a rich environment because each person brings their background to the table. We have many nationalities and this is a true asset because it also allows every one of us to have an open mind about the world and the curiosity to get to know more about each other,” said David. The team’s amazing spirit and their feelings of kinship towards each other is a result of the way they approach their work every single day. “We spend so much time at work, so it’s crucial that we get to know each other, on the professional and personal level, which improves cooperation and creates a dynamic working culture,” said David. Their confidence and trust in one another is what helps the team be honest and open when communicating, knowing each others’ strengths and weaknesses, and helping each other develop. This is also supported by BMMI’s corporate culture programme, Winning Hearts, with its five values of honesty, excellence, achievement, recognition and team-spirit. “We celebrate each others’ birthdays and milestones, publicly recognise each others’ achievements, attend training sessions together and often share lunch or dinner, allowing all of us to get to know each other in a more informal environment that promotes bonding. This is where you can find the roots of family and team spirit in BMMI Djibouti,” David added. 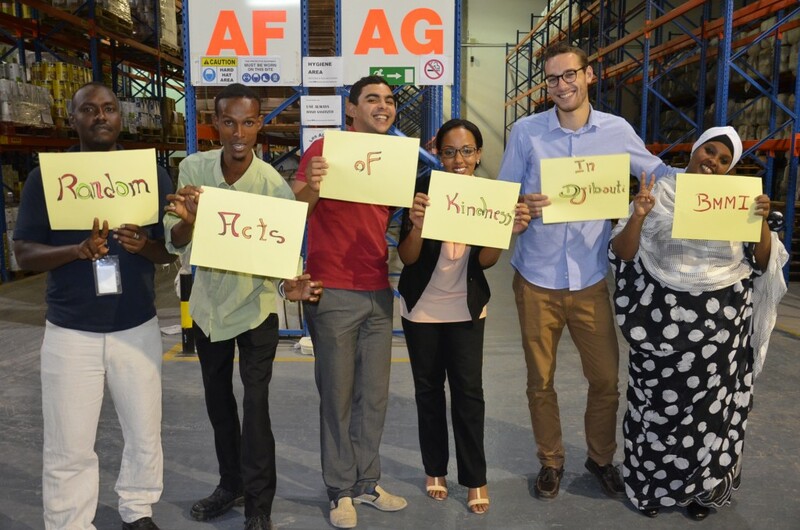 This bond is witnessed by anyone who sees the team in action, and proof of this is that a number of employees who have visited Djibouti from other parts of the BMMI Group have commented on how impressed they were by the welcoming and familial vibe of the team. “People notice our team’s spirit and the fact that we enjoy the work we do. This makes our clients and visitors comfortable with us, and that is of course one of our main goals. We always keep in mind that any visitor to BMMI, whether it’s a client, an auditor or anyone else who witnesses our level of professionalism and our culture, might be a potential ambassador of ours, spreading the word about who we are and how we operate,” said David. Another aspect that helps BMMI Djibouti stand out is its commitment, as well as that of the Group as a whole, to have a positive impact on the communities in which they operate. “Thinking local is part of our culture in the BMMI Group. Here in Djibouti, we started with youth, because there are high levels of unemployment. We are convinced that a way to help out young individuals is by providing them with the opportunity to gain actual work experience and skills, which will help set them apart for their future career prospects,” said David. Working with BMMI as a trainee means being greeted warmly as part of the team and being fully integrated professionally, with a set of responsibilities and a commitment to specific targets, in order to ensure the value of the experience. “We want them to have clear learning objectives, and the fact that they have open access to management and that they can witness our team spirit, makes them immediately feel that something different is happening in this company, and we can feel them truly commit. We can immediately see them jump on the task and they work with a very active and positive attitude; it is just fantastic,” added David. BMMI Djibouti works with various kinds of youth, from those who didn’t have the opportunity to go to high-school, to those who have university degrees but are having difficulty getting jobs. At any given time, there are at least two young individuals going through internships in the company. These opportunities sometimes also turn into careers. Recently, three students were hired as full time employees to help with an increase in workload. The team’s efforts to support Djiboutian youth even received national recognition, with a TV crew coming in to interview them about their efforts for a segment on local channels. The focus on people, whether it is satisfying clients, engaging employees or developing young talent, is not random. David is a firm believer of a ‘people-centric’ approach to successful business, where a B2B (business-to-business) focus turns into a H2H (human-to-human) focus instead. Truly taking the time to understand people and their needs helps you deliver the services and environment they expect and more, said David.